Get to Know the Less Known Natural and Cultural Gems Alongside the Famous Tourist Attractions with this Exclusive Program. Arrival Brazil and connecting flight to the falls of Foz do Iguaçu. Pick-up and transfer to the Hotel San Martin. The hotel features a lush tropical park and swimming pool and is located right next to the Parque das Aves (birds park). During a one-hour walk, more than 150 different species of tropical birds, but also alligators, snakes, butterflies and monkeys can be observed amidst a beautiful natural habitat. 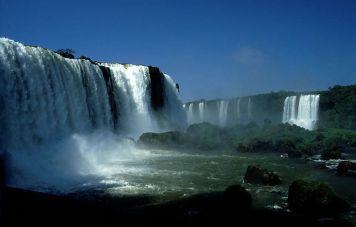 Visit of the Brazilian side of the world famous waterfalls. 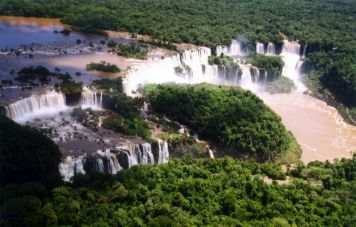 The falls are located within the limits of the Iguaçu National Park, covering 185,262 ha on Brazilian and 67,000 ha on the Argentine side. In 275 cascades the Iguaçu river rushes with an average height of 60 m down the horseshoe-shape canyon over a length of almost two miles. An unforgettable natural spectacle. We suggest: a sightseeing helicopter flight (facultative), which gives an even better vision of the overwhelming dimensions of the falls. For the rest of the day you may want to stroll through the Hotel gardens and enjoy the pool for refreshment. Today you head for the Argentine side of the cataracts. A mini train rails you through the National Park. A boardwalk leads to the roaring Garganta del Diabo, the devil's gorge. Our suggestion is to do the adventurous and literally breathtaking raft ride right beneath the falls (facultative). After all the wild gushing water around you, you are ready to pay a visit to the Itaipú dam where nature is tamed for the use of man and what is, until today, the world biggest hydroelectric plant. 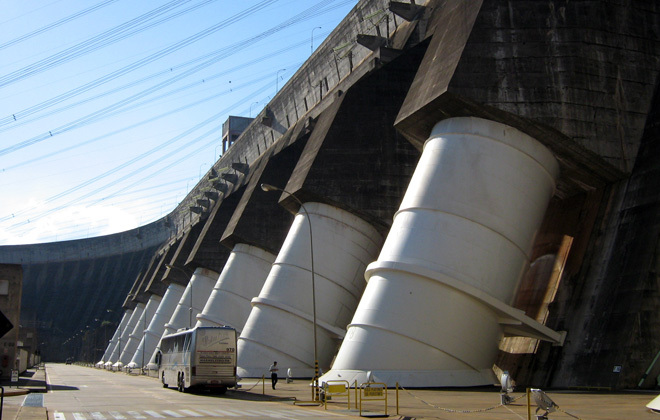 14,000 MW are generated here and from where power is delivered to Paraguay and wide parts of southern and southwestern Brazil. 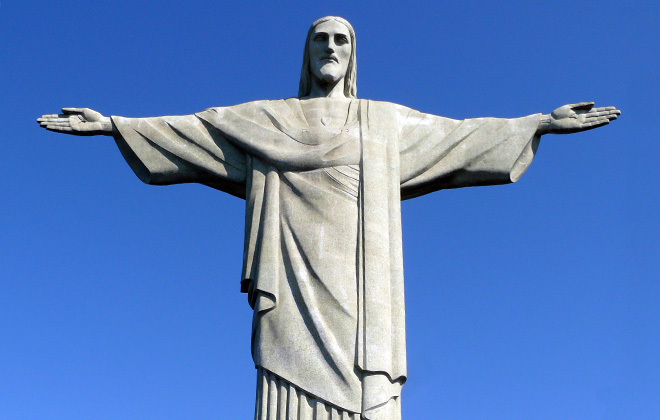 Since you have already checked out, you transfer now straight to the airport for flight to Rio de Janeiro. 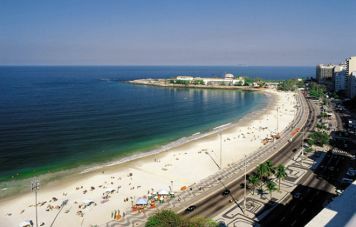 Transfer to the Luxor Continental Hotel at situated at Copacabana beach. The morning is at your free disposal. In the afternoon we take you for a cable car ride to the top of the 396 m high Sugar Loaf, world famous symbol of Rio de Janeiro, featuring views of the ocean, the bay, the surrounding mountains and the city itself, not to speak of the exuberant tropical vegetation on this island mountain. Right underneath the mountain there is a charming coastal path where we can stroll along while watching guenons and several species of humming birds. Our guide picks you up early this morning for a full day city tour, starting with a walk through downtown Rio de Janeiro, including the Cinelândia square with the 1909 built Teatro Municipal, which is inspired by the Paris opera house. Next is the futuristic cathedral Catedral Metropolitana, the Petrobrás and BNDES buildings – outstanding example of modern Brazilian architecture. After a few minutes of walk you arrive at the Santo Antônio convent, Rio's oldest baroque church with a monastery from the 17th century, located above the Largo da Carioca, where street vendors are disputing space with preachers of all indefinable credos. Next stops are the Real Gabinete Português de Leitura, a splendid old library of 1888, and finally the famous Confeitaria Colombo where we break for an Espresso. Now you board the last remaining wooded tram, built 1892. The ride takes you over an aqueduct from 1750, into the hills to the idyllic artist's neighborhood Santa Teresa. Take a stroll through the small cobblestone streets with historic mansions, studios, bars and handy craft shops. On return, visit the Chácara do Céu museum with notable works from Brazil's colonial epoch and exhibition of modern art. Pick up at the hotel and drive up to the 710 m high Corcovado mountain with its world-famous Christ the Redeemer statue which, together with the Sugar Loaf, are Rio de Janeiro's most well known symbols. From up here the panoramic view over the city of Rio de Janeiro, including the Southern and Northern Zone is unique. Afterwards we take on the street through the Floresta da Tijuca National Park, the world's largest tropical forest in the middle of a city. You will enjoy breathtaking views, waterfalls and exuberant tropical vegetation of the Atlantic Coastal Rainforest. A leisurely stroll through the 1808 founded Botanical Gardens (Jardim Botânico), considered one of the most beautiful botanic gardens in the world. Here some 7,200 species of flowers, plants and trees delight the nature-loving visitor. The garden is designed as a landscape park and beautifully embedded at the foothills of the surrounding mountains. Return to the hotel. Evening at leisure. 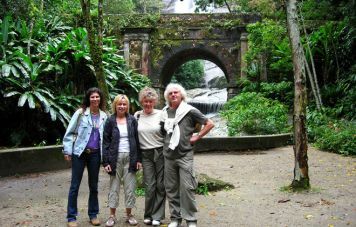 An -approximately- one hour ride gets you to the Sítio Roberto Burle Marx, the cottage of Brazil's most famous landscape architect of the 20th century, with marvelous gardens, thousands of rare species of flora and a chapel of the 17th century. There is plenty time for a swim at the beautiful Grumari beach. This nature reserve features the costal mountains, with great views over the bay and of the Restinga de Marambaia dune landscape. Lunch maybe in one of the beautifully located panoramic restaurants in the hills. Return to the hotel along the shore-line and the southern beaches of Rio. Evening at leisure. A panoramic car ride over the 13 km long bridge, crossing the Guanabara Bay, gets us to the city of Niterói. Via the coast walk Caminho Niemeyer, you arrive at the Museu de Arte Contemporânea (MAC), the museum for contemporary art. Designed by Oscar Niemeyer, considered Brazil's pope of modern architecture who also designed the capital Brasilia, this museum features an extraordinary futuristic design. Following the coastline we visit, in blatant contrast to the MAC, the Fortaleza de Santa Cruz from 1555. 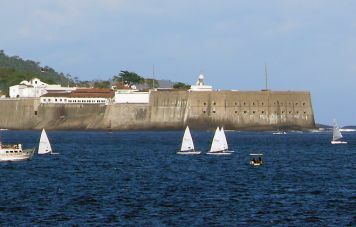 One of the oldest and best-maintained fortifications of Brazil. Its history is told by a soldier guide who takes pleasure in reporting stories from a bloody past. 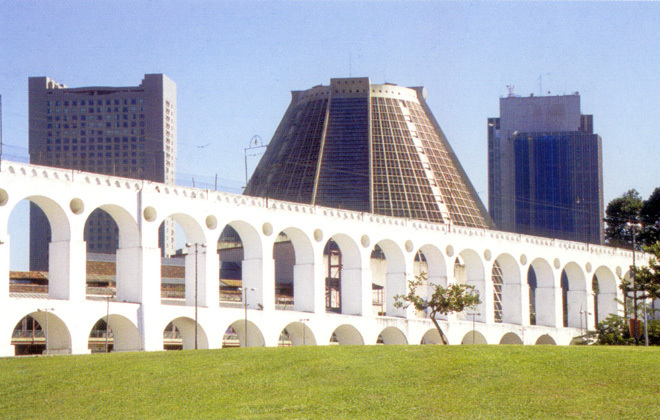 The fort was crucial for the defense of Rio de Janeiro during the past centuries. 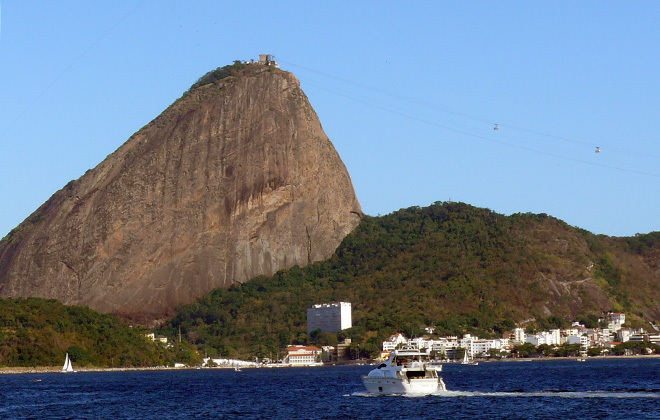 It provides spectacular scenery of the city of Rio de Janeiro, right across the bay. Return to Rio de Janeiro. The afternoon is free. We suggest a visit at Amsterdam Sauer's gems museum, featuring outstanding and priceless pieces and a replica of an original sized mine. It is also possible to purchase gems and jewelry of outstanding design and the very best quality. Please ask your guide for further information. We have reserved this day for your leisure. Your guide will be pleased to inform you of the best means to spend this day and the night. Early check-out at your hotel. Drive in southerly direction along the shoreline of the Green Coast, to the colonial town of Paraty. The 18th century seaport played an important role during the period when gold from the mines in Minas Gerais was shipped out from there to homeland Portugal. Portugal was, at that time, an important colonial power that reigned Brazil during four centuries. 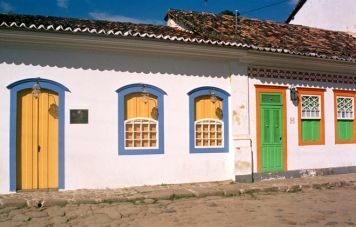 The colonial town is one of the most charming architectural ensembles in Brazil and has been named World Heritage by UNESCO. The about 3½ hours scenic drive along the coast features great views on islands and little hidden beaches of overwhelming natural beauty. A restored colonial pousada, located in the historic center of town, awaits you for a refreshing welcome drink and a jump into the swimming pool, not necessarily in that order. 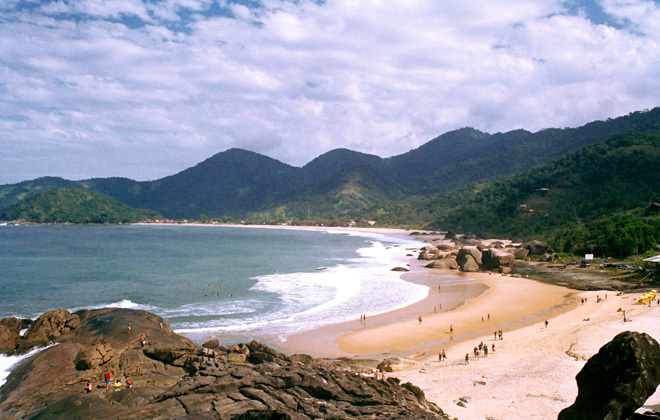 The afternoon is spent at the fisherman's village Trindade, where you enjoy swimming at one of its dream beaches. Return to Paraty in the evening. The evening is at your free disposal, e.g. walk through the narrow cobble stone alleys romantically lit by colonial candelabras. The boutiques display a wide array of beautiful handicraft and Brazilian styled leisure clothing. 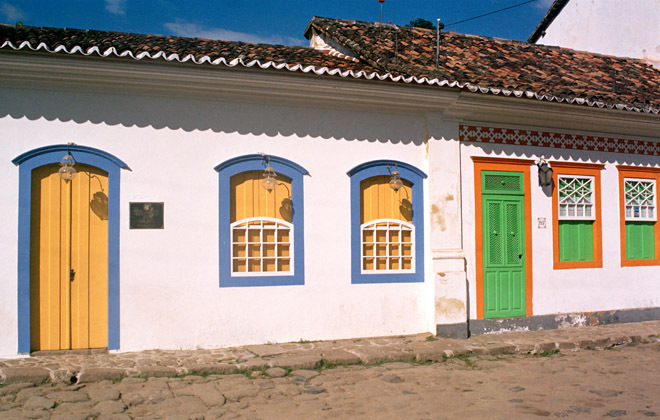 After breakfast you tour the architectonical highlights from Brazil's colonial past with its adorned houses rich in details and churches from the ending 17th and beginning 18th century. Now you are to board our schooner for a boat ride between the islands and beaches of Paraty. The boat will stop at one of the beautiful beaches, where you may enjoy a swim in the crystal clear waters or stroll about the island and marvel at all the lush tropical vegetation around you. Drinks and refreshments are on board. Return to Paraty with the rest of the day free for activities of your choice. After breakfast we will pay a visit to a nearby settlement of the Guaraní Indian tribe. Discussions with the chief and members of the council normally proof very interesting and informative and will certainly contribute to enrich the Paraty experience. We recommend a contribution by purchasing their lovely handicraft made from natural fibers and wood. 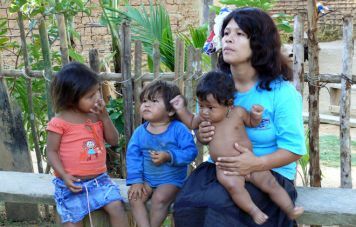 You visit the village of Paraty-Mirim were the Portuguese landed to unload slaves who were shipped in straight from Africa, baptize them first in a small chapel and sell them on location. From here you will hike about three hours through the Atlantic coastal rainforest to a beautiful cove, Brazil's only fjord. Enjoy a swim in the crystal clear waters or take a canoe ride through the bay. 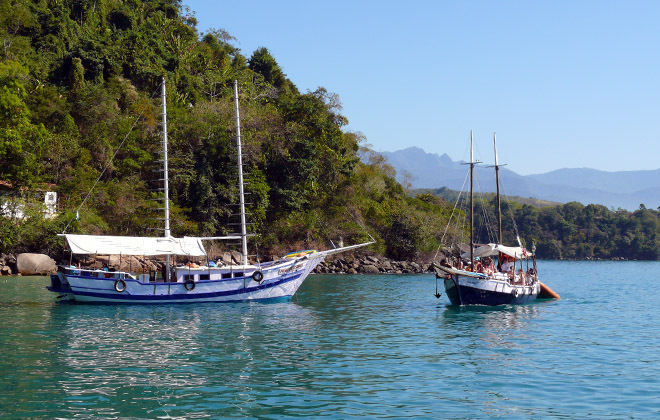 Return Paraty-Mirim by a fisherman's boat and transfer back to your pousada. Return to Rio de Janeiro and flight to your home destination or start of one of the additional programs. It's been a few days now that we are back home in Austria. Even though it feels good to be home again we keep thinking back of these amazing two weeks we spent in Brazil. Brazil is absolutely beautiful and its people are extremely friendly and welcoming. 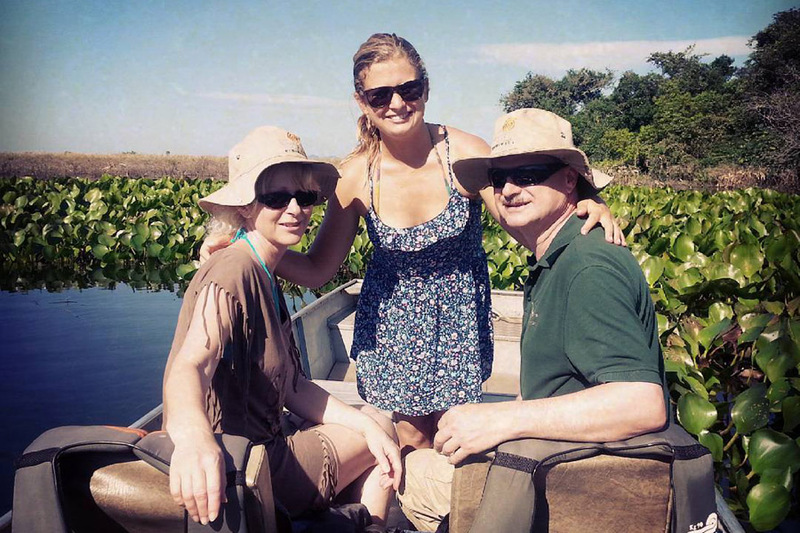 The Pantanal safari was the absolute highlight of our trip, we still keep talking about our adventures there. But also Rio and Paraty were interesting and definitely worth a visit. Arraial's beaches were simply stunning. 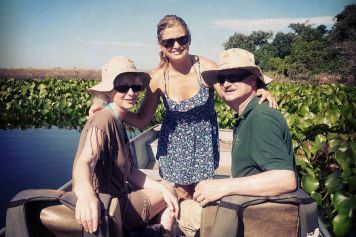 The special about our trip was that we were able to get to know the country in a more intimate and authentic way, we really felt we were being treated as friends rather than tourists by all our hosts. We really wanna thank Nicole, but also Peter for the excellent planning and organisation of our trip. The Iguazu trip was perfect: the guide (Nelson) was perfect, the weather wa perfect and both whole organization of the trip and communication with Nelson was perfect. The Yacutinga trip was OK - my friends were very happy. Our guide (Nestor) was excellent, the logde was very good but the activities (jungle walks, kayaking, etc.) were good for people (like my friends) who never see the rainforest. For me it was a little bit disappoiting, so I recommend the Yacutinga for non-experienced people. Next time I will absolutely go to Panatanal. Once more, thank you for your excellent work. 2-3 participants 4,115 US$ p. p.